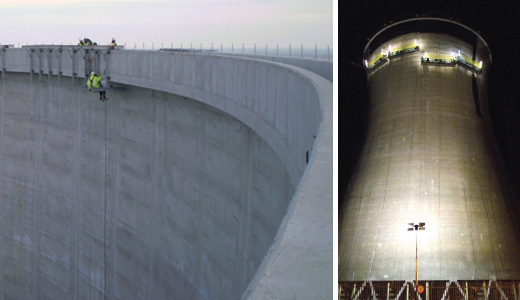 At up to 200 metres tall and 100 metres in diameter, the repair and maintenance of cooling towers is often a complex and hazardous operation, particularly in gaining access to all elevations and orientations. Here, we have always been one step ahead of our competitors. Our ability to design and construct bespoke cathead systems that fit the precise cornice details at the top of the tower allows us access to all points of the stack via cradle access systems. This design capability, coupled with our experience in carrying out concrete repairs that prolong the working life of the towers, gives us unrivalled expertise in this demanding environment. 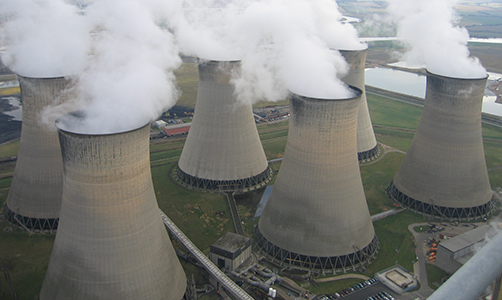 This paper reviews the background, repair scheme, access and methodology deployed in the repair of a Hyperbolic Cooling Tower at The E.On Ratcliffe-on-Soar 2000MW Coal-fired Generating Station at in Nottinghamshire, England.